I don't usually watch the telly but the other day while I was at home, my dad happened to have Channel News Asia switched on and I was enticed by this documentary where they were sharing with viewers about this restaurant that served up Eurasian dishes! Since I got to know Shane, I was also introduced to a bit of the Eurasian culture and of course FOOD. His grandma and mother would often whip up Eurasian dishes and I fell completely in love with the food the Eurasians had to offer! Okay, a little background story before I continue. I think many of you would also be interested to know Shane's ethnicity too. Technically, Shane isn't Eurasian (& no, contrary to what most of you would think, he's definitely not malay either). Shane's dad is Indian, his mom is Chinese so that makes him Indian-Chinese and his surname is Joseph. But the only thing Indian about him, as Shane would put it, "is the race on his identity card". The entire of Shane's paternal side are Catholics not Hindus, they celebrate Christmas and Easter not Deepavali and they don't speak a word of Tamil (till this day some of my aunts still think Shane or his dad knows Tamil). I don't know how to explain it other than he's Catholic Indian and that India was once ruled by the British too and that kind of made the sort of Indian-but-not-say-Indian that he is? Also, somewhere down the line on his grandmother's side, they've Portuguese blood too. Don't ask. I'm rather confused too. Just the other day I happened to ask my brother-in-law in hopes I'd get to understand better but he was just as clueless. Haha. Totally forgot to ask my in-laws about their heritage when we had lunch the other day. But maybe I'll get to know more when and if they read this post? Alright, so back to the topic, I LOVE food and I LOVE to eat - no really, don't belittle my kumchek (bamboo) frame, Shane can vouch for that! I spend most of my money on food more than anything else! & other than back home within the family circle, I've never known anyone to cook up Eurasian dishes and much less heard of a restaurant that serves Eurasian dishes either! So when I heard about it on CNA (and watched while my mouth watered as they filmed how they made Devil Curry), I just couldn't resist searching the web up for this place! It also happened to be Shane's birthday that weekend so I suggested to my in-law's about dining there! Apparently, my in-laws had been there once before during a relative's birthday and had sung praises about the food so off we went! Only noticed this while writing this entry. So that explains the pretty long wait for our food! Kylie is one of those really playful kids who can't sit in a spot for long periods of time & I'm sure every parent of young children would definitely appreciate this kid-friendly diner as well! Quentin's has a kid's play area complete with a ball pit and lots of cool toys just right beside the dining area. It's also glass-partitioned so parents can keep an eye on their child while at their tables! The indoor, air-conditioned dining area is a little small and it's a good thing we made reservations beforehand because it was a full house when we dined there! We were served some fish keropok with sambal belachan to tide us over during the wait for our main courses. Gotta say, I was psyched cause this is one of my favourite snacks to have even on normal days! 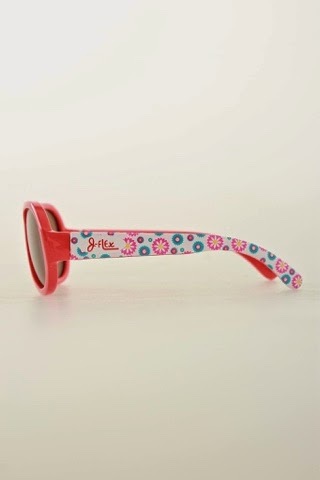 & Kylie in her really chic shades from J-flex (more about it below)! Our first dish was the Cambrang Curry Nanas - prawns and pineapples in curry. I really love the freshness of the prawns and the curry went perfectly with the prawns! Meat cutlet. All of us didn't quite fancy this one. It was too dry and hard compared to the usual homemade cutlets that we're used to. &; of course, I had to order the possibly-most-renowned Eurasian dish, Chicken Devil Curry (Debal-Galinhia)! Quentin's style of the Devil curry was much thicker, like a paste compared to the gravy sort my mother-in-law and grandmother-in-law would whip up but I still enjoyed this dish nonetheless! I felt that the cabbage tasted pretty raw though. Feng! (Apologies for the out-of-focused photos. I think my hands were a bit shaky that day). This is one of Shane's favourite Eurasian dishes. I only had it once prior to this because Feng takes a lot of hardwork to prepare. It consists of various parts of the pig like the pork liver and heart and of course the meat too. The various parts then has to be painstakingly diced with a knife which explains why my mother-in-law's only every prepared the dish once since I met Shane. I really loved this dish and to my surprise Kylie loved it too! It might not appeal to some because of the strong pork taste - almost like that of mutton. Most Eurasian dishes are curry-like and are mostly spicy so we ordered the Kristang Stew which is basically Eurasian style beef stew for Kylie. This was really tasty and Kylie polished the entire bowl! For greens, we had the Bredu Chapchye, I never really fancied chapchye to start with so this didn't wow me either, felt that all of the dishes with cabbages were pretty raw, could've been cooked softer. & of course, the Sugee Cake - a dessert that's often seen on occasions such at weddings and birthdays. When I saw this on the online menu, I knew I HAD to order a slice. I love sugee cake with marzipan icing and so does my father-in-law. But I felt this lacked the punch. Most Sugee cakes usually have a tad of brandy in it that greatly enhances the taste but unfortunately, that was lacking in the Sugee cake Quentin's served up. Also I thought that the icing could've been sweeter. Definitely tasted a lot more Sugee cakes that are wayyyy better compared to this. Kinda disappointing since I was looking forward to this the entire time. So that was our lunch spent at Quentin's. I guess it's true when they say that the best Eurasian dishes are those served at home. But for those who don't have the good fortune of having Eurasian dishes at home can certainly pay a visit to Quentin's for something a little more different than your usual cuisines! Okay so Kylie was really lucky to be given a pair of J-flex sunglasses to try out. & I know you must be thinking, what's he deal about this sunglasses right? 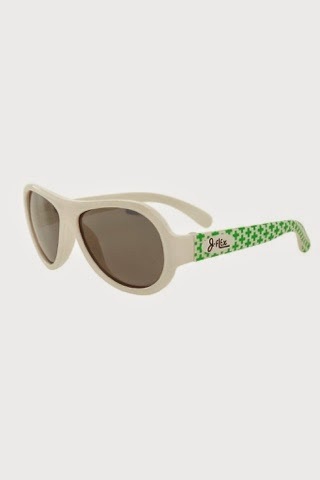 Well, J-flex sunglasses comes with polarised lenses! 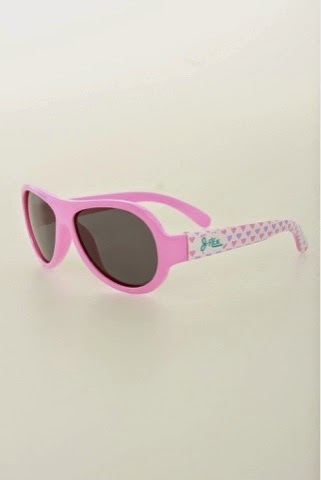 & it's not everyday that you come across a store selling polarised sunglasses FOR KIDS! In case you're wondering what polarised sunglasses are, polarised lenses cut out glare so it gives the kids better clarity, colour and detail. Children aren't usually used to wearing sunglasses so this also ensures comfort in vision when they wear them, also minimising the risk of them tripping or falling due to obstructed vision. I could tell Kylie felt really comfortable wearing the sunglasses because she was so happy wearing it almost the entire day compared to the countless sunglasses she had previously that she refused to wear for more than 10 minutes! &that's not all! The lenses are impact and shatter resistant too! Major plus points for that because we know how reckless and clumsy kids can get when they're playing outdoors so you not only have to find a pair of sunglasses that provides 100% UV Protection but one that also doesn't shatter easily and hurt junior's eyes when they fall. & J-flex sunglasses does just that! They're also BPA free! 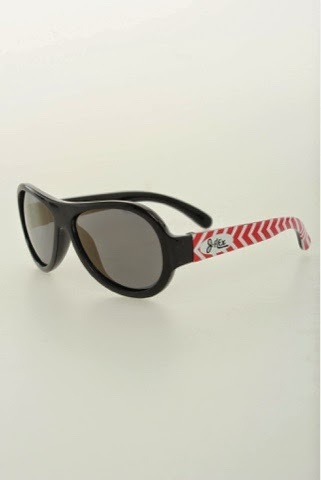 The thing I love about J-flex's sunglasses is that the come in 6 really stylish designs! 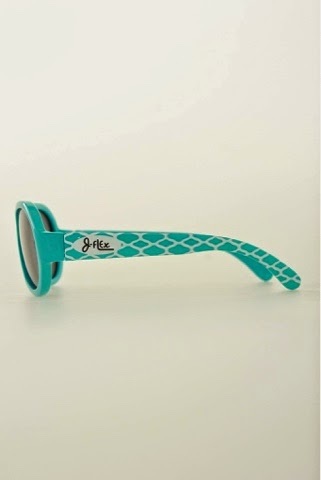 Each sunglass also comes with a sleek pouch (as shown above) that's bound to make junior feel like a big person! Don't know about you but I think these are probably one of the most stylish aviator-style kids sunglasses out there in the market! Best of all, they're really affordable too! 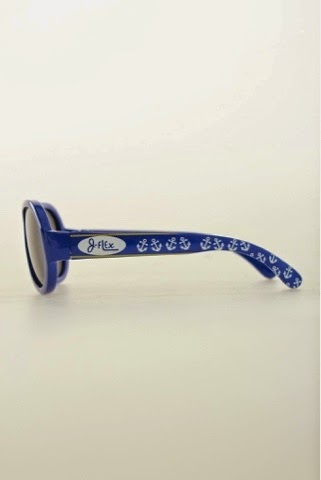 J-flex's sunglasses are also extremely durable due to it's flexibilty too so you don't have to worry about them being roughly-handled by your tot! Just look how far they can bend! visit their website ( http://www.gaia.com.sg/product.php?id_product=60 ) for more information!